HOTELS generally don’t figure prominently in my imagination, but Yosemite Valley does, and so does the glamorous Ahwahnee Hotel. 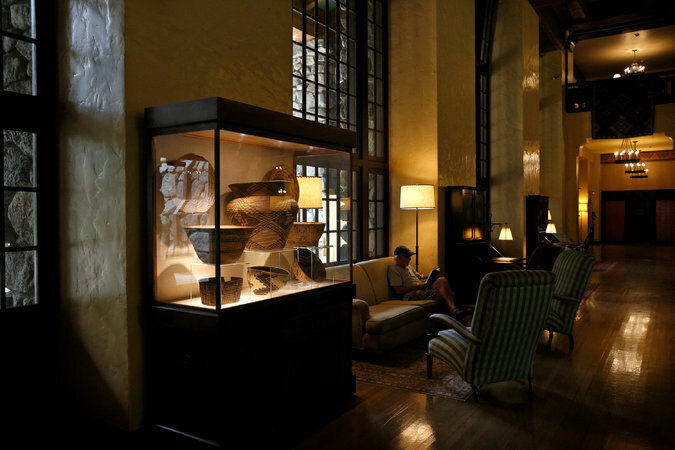 When my father took me on Yosemite climbing trips in the 1980s, we never stayed at the Ahwahnee — it costs a fortune — but Dad always brought clean dress shirts so that we could hang out in the Ahwahnee’s kitschy Indian Room Bar before we slept illegally under the evergreens. My parents even celebrated their 50th anniversary at the Ahwahnee, so I could be annoyed that the National Park Service recently renamed it the Majestic Yosemite Hotel, an exquisitely vapid choice. 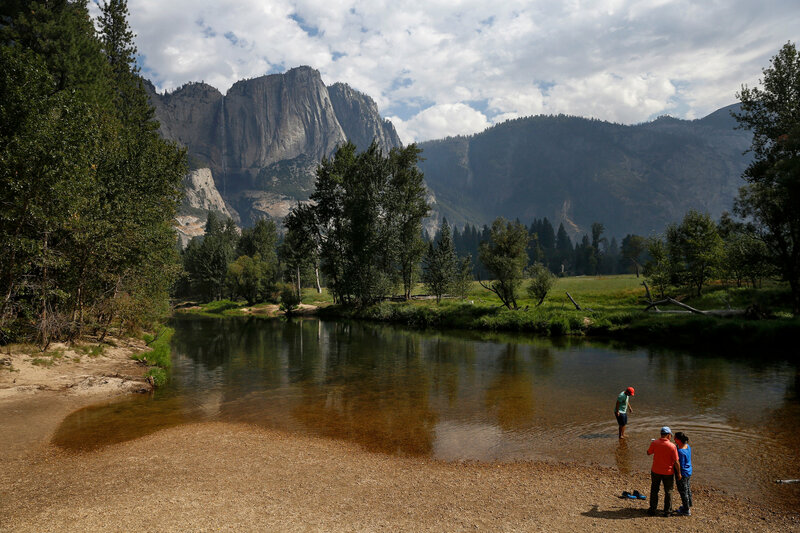 For reasons stemming from a contract dispute, the Park Service simultaneously renamed four other sites that have been dear to California families like mine for generations. So I could be outraged: They’re messing with my heritage! Instead, I’m thrilled. The whole dumb episode is an opportunity for the National Park Service to dump dozens of place names that are the linguistic equivalents of Confederate statues. Much as those statues honor men willing to kill and die in defense of slavery, names like Ahwahnee falsify and celebrate the slaughter and land theft upon which our national parks were built. 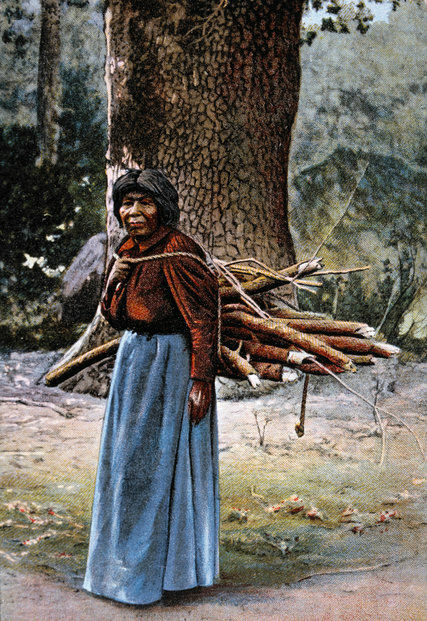 Before Spanish missionaries arrived in the 18th century, there were an estimated 300,000 people in California. Violence and disease helped cut that number in half by the mid-1840s, when the United States military invaded. Then, in 1848, a gold nugget was found in a stream near Sacramento, setting off one of the largest mass migrations in American history. Between 1846 and 1860, the non-Indian population of California leapt from some 14,000 to more than 300,000. Under Mexican law, native Californians had established rights, but after Anglo-American foreigners invaded sovereign Indian nations, those rights were stripped away. California became an American state in 1850. That same year, lawmakers legalized forcing American Indian children into white custody and barred Indians from voting, giving evidence against whites in criminal cases or serving as jurors. As a result, there are very few instances in which a white person was convicted of a violent crime against a California Indian between 1846 and 1873. These are all classic steps in the march toward mass murder, with clear echoes in later genocides. In 1851, California’s governor, Peter Burnett, said that he expected “a war of extermination” to continue “between the races until the Indian race becomes extinct,” and Senator John Weller later said that “the interest of the white man demands their extinction.” Toward that end, California spent the equivalent of $45 million in today’s money on two dozen state militia expeditions that murdered at least 1,340 California Indians, according to Benjamin Madley, a historian at U.C.L.A. and the author of “An American Genocide: The United States and the California Indian Catastrophe, 1846-1873,” whose work I am heavily indebted to. The Army and its auxiliaries killed a minimum of 1,680 more, and vigilantes murdered at least 6,460. Congress reimbursed California for most of that money, retrospectively endorsing genocidal campaigns. In 1860 in Humboldt County in Northern California, for example, an estimated 150 Wiyot women, children and elderly men were murdered. According to a newspaper reporter who saw the aftermath, “Lying around were dead bodies of both sexes and all ages from the old man to the infant at the breast. Some had their heads split in twain by axes, others beaten into jelly with clubs, others pierced or cut to pieces with bowie knives.” By 1880, some 20,000 Native Californians remained. “It is not an exaggeration to say that California legislators established a state-sponsored killing machine,” Professor Madley said. The Miwok of Yosemite lived nearly every chapter of that history. 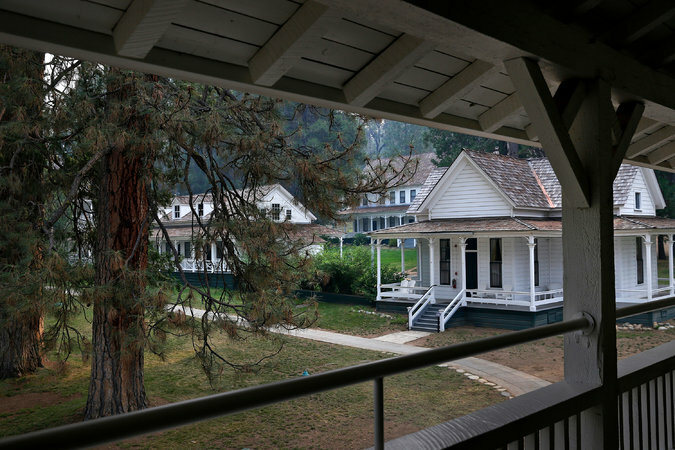 For millenniums, thousands occupied small towns in the valley that at least some of them called Ahwahnee. In the early 19th century, a pandemic greatly reduced their numbers, and survivors fled across the Sierra Nevada to live with the Mono Paiute people. The best surviving account of the Mariposa Battalion comes from a member named Lafayette Bunnell. He describes tracking the Ahwahneechee into that deep glacier-cut valley midwinter and — alone in his group of uninterested killers — swooning over the booming waterfalls and soaring golden granite. 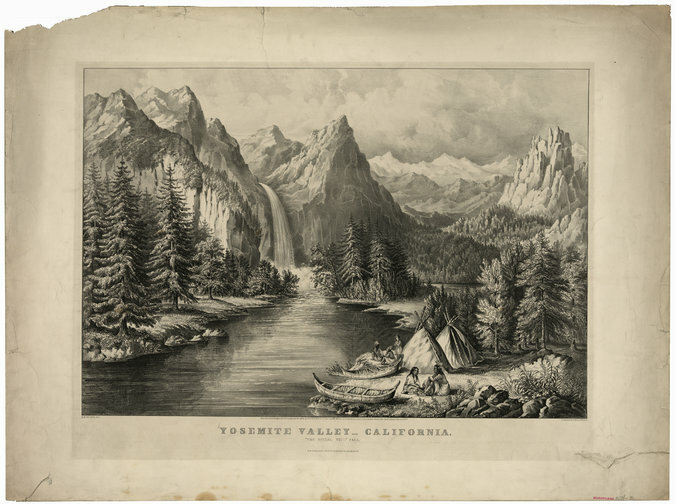 Bunnell fascinates me because he was deeply responsive to the natural beauty of Yosemite, captivated by the opportunity to (re)name everything he saw and thoroughly afflicted with commonplace Victorian delusions about the supposed inferiority of nonwhites. Sensing that readers might judge him for mistreating a frightened old woman, he reassures them (and himself) that she is not fully human: “This creature exhibited no expression of alarm, and was apparently indifferent to hope or fear, love or hate.” The Mariposa Battalion then looted and burned every Ahwahneechee house and food cache they could find, leaving the Ahwahneechee in a terrifying predicament with snow on the ground and more winter storms ahead. A few months later, when the Mariposa Battalion rode back into Yosemite Valley, it captured five men, including Tenaya’s three sons. In celebration, the battalion named a nearby rock formation the Three Brothers. Two of the captives were sent to summon Tenaya. While they were gone, guards deliberately allowed two of the remaining captives to untie themselves as a pretext for shooting them. One escaped, the other did not. Soldiers captured Tenaya and led him to the corpse of his youngest boy. Tenaya erupted with a rage and sorrow that Bunnell’s commander apparently found amusing. In other words, Tenaya Lake — a place so important to me that I want my ashes scattered there — is named not in honor of Tenaya but in joyous celebration of the destruction of his people. Ahwahneechee survivors were back in Yosemite Valley within a year. They rebuilt their homes and, when the first tourist hotels opened in the 1860s, made a living by catching and selling fish, chopping wood and cleaning hotel rooms. They were also around when John Muir led wildflower walks in the 1870s. Muir has been immensely important to me, and I believe that he was a decent man, but Muir’s view of Indians is depressing and painfully devoid of empathy. The Indians he saw on trails struck him as filthy, and he was pretty sure nothing natural is ever filthy, so he concluded that they must not be natural. This was convenient for Muir, because it allowed him to imagine the Sierra Nevada not as a deeply human landscape with centuries of cultural history but as the one thing he craved most, a place of spiritual purity. By the mid-1920s, when park visitors exceeded 200,000 and Lady Astor complained that Yosemite’s accommodations were intolerable, the private Yosemite Park and Curry Company began to build a luxury hotel. I agree with the photographer Ansel Adams that “on entering the Ahwahnee, one is conscious of calm and complete beauty echoing the mood of majesty and peace that is the essential quality of Yosemite.” But I also think there is something inescapably sick about a hotel on the site of a torched town copping a little mysto-Indian vibe from the word used by the arsonists’ victims for the valley they called home, and deliberately designed with a pan-Indian motif meant to conjure white fantasy while avoiding reference to any particular Native people. 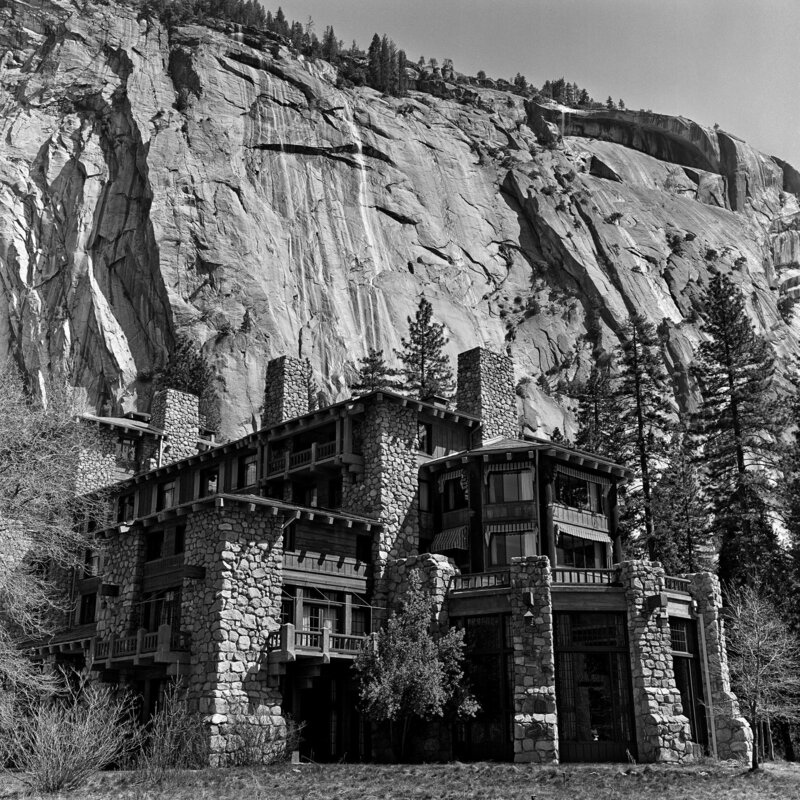 By the time the Ahwahnee Hotel opened, in 1927, park officials saw the nearby village inhabited by actual Indians as an eyesore. 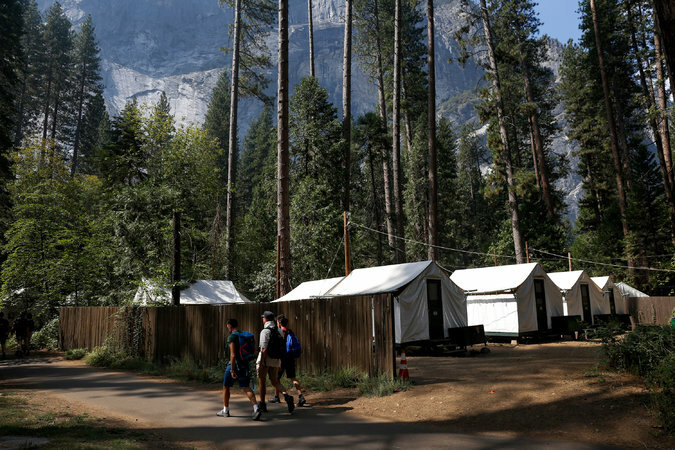 Soon they were planning to replace it with a Yosemite Indian Village, which put the federal government in the silly business of deciding what an “Indian village” ought to look like and who qualified as sufficiently “Yosemite Indian” to live there. By the late 1930s, that village amounted to 15 tiny cabins housing 57 people. Even that arrangement annoyed park officials enough that in 1953 they decreed that only permanent park employees could be residents. Anytime someone moved away, that cabin was demolished to make sure nobody else moved in. The last remnants of the Yosemite Indian Village were destroyed in 1969. The closest thing remaining is a life-size museum display meant to look like a pre-genocide Ahwahneechee village, without any actual Ahwahneechee, needless to say. Gov. Jerry Brown recently invited Professor Madley to present his work on the California genocide at the Capitol in Sacramento, and the adjutant general of California has invited him to speak with today’s state militias. Los Angeles has even changed Columbus Day to Indigenous Peoples Day. 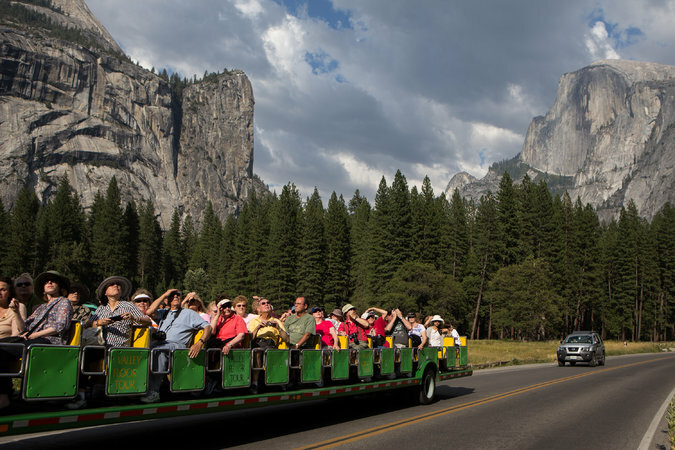 But the National Park Service won’t seriously consider limiting private cars in Yosemite — because, I presume, that might slow the growth of somebody’s hamburger sales. And what else do you think national parks are for? 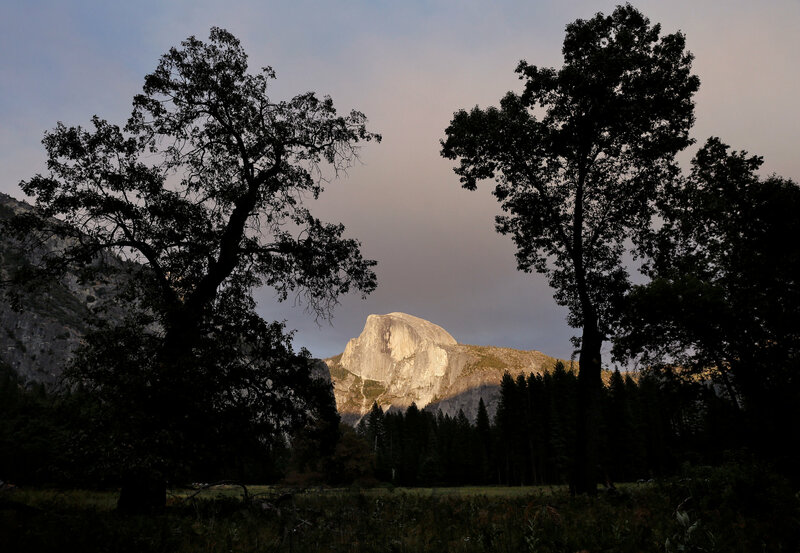 Daniel Duane, the author of three books about Yosemite, is writing a book about the Sierra Nevada.